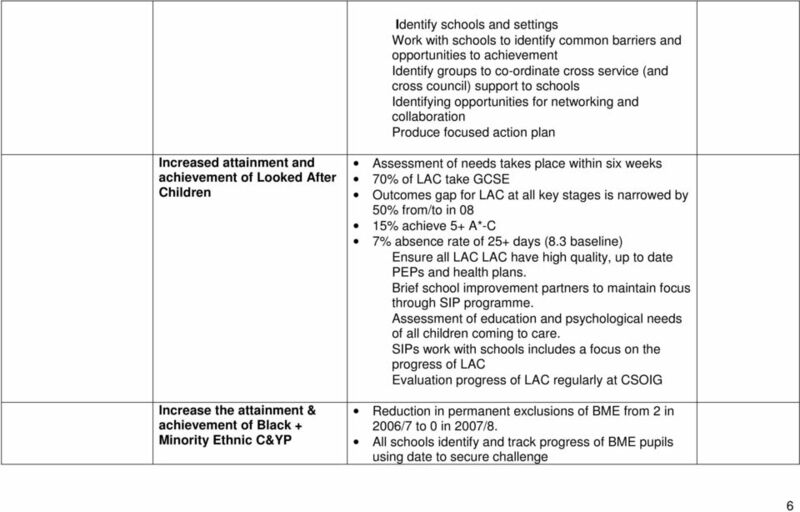 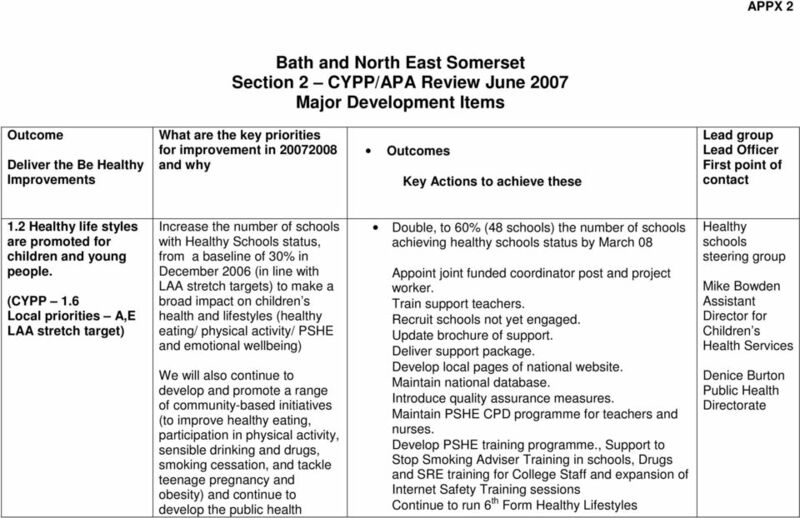 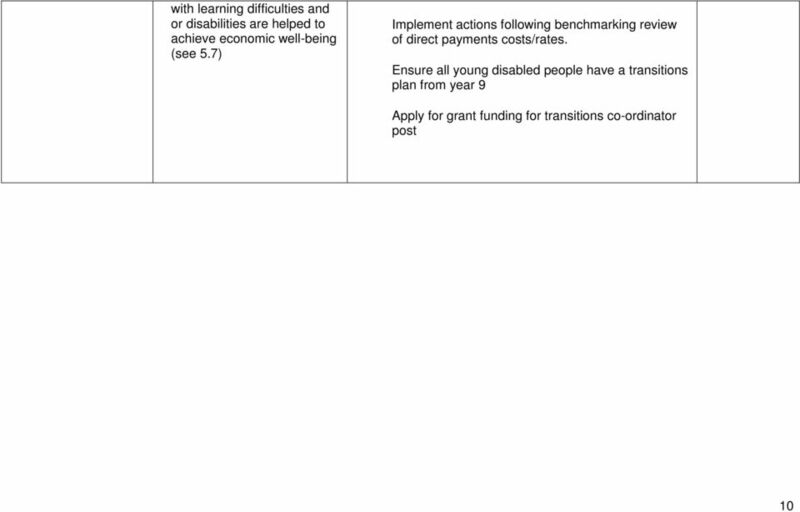 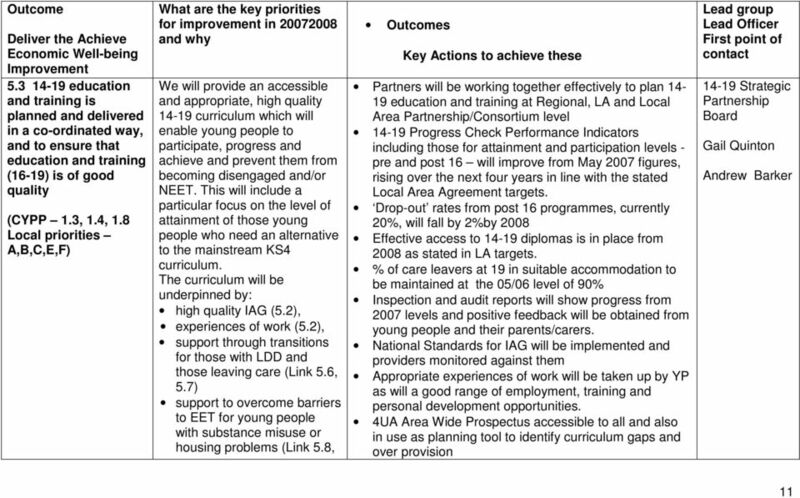 Download "Bath and North East Somerset Section 2 CYPP/APA Review June 2007 Major Development Items"
Children s Services. 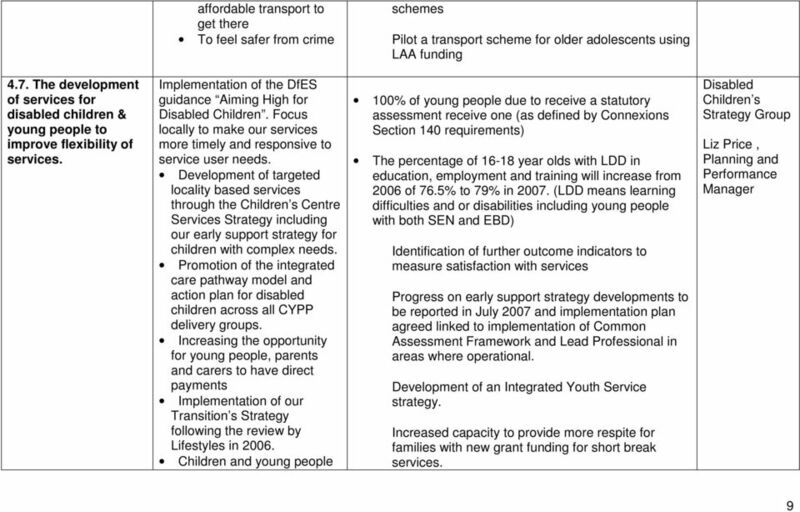 Children and Young People Scrutiny Panel. 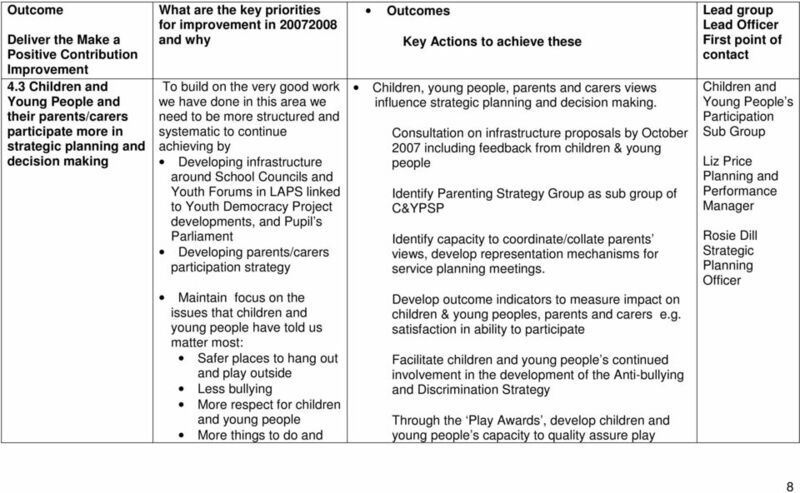 Report of progress against NPCYP and APA/JAR. 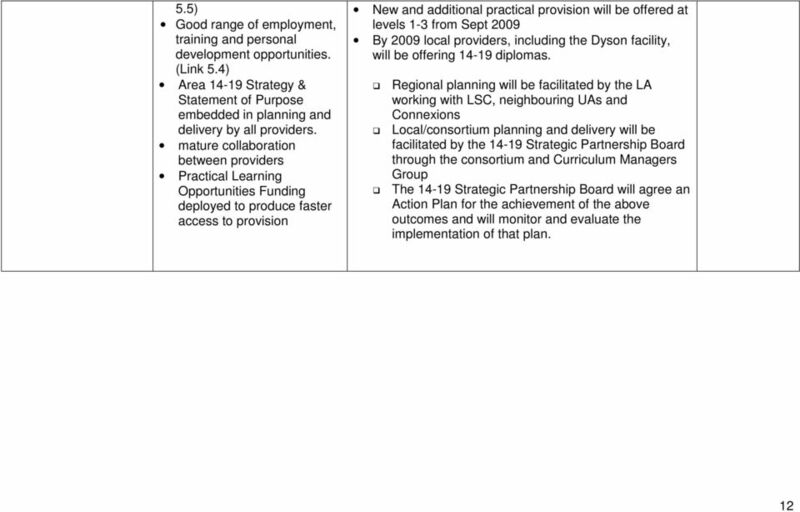 20 December 2007. 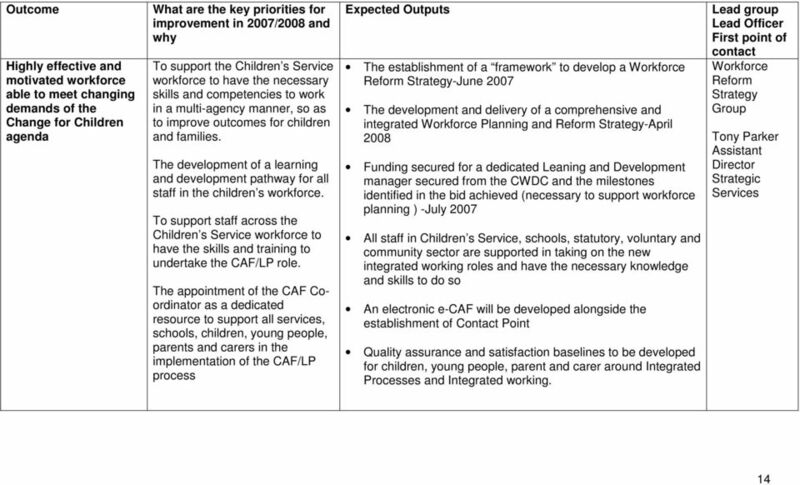 Below you will find information relevant to CCPS members which has been taken from the Single Outcome Agreement published in June 2009. 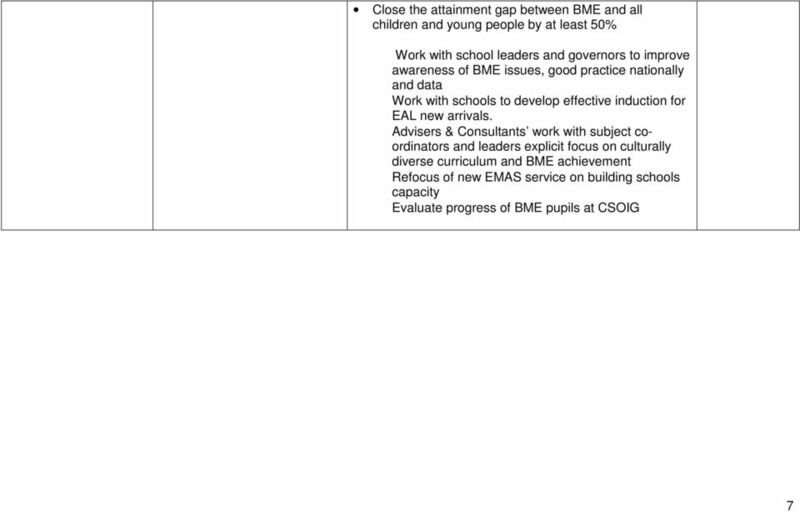 Appendix 1: Performance Management Guidance The approach to Performance Management as outlined in the Strategy is to be rolled out principally by Heads of Service as part of mainstream service management. 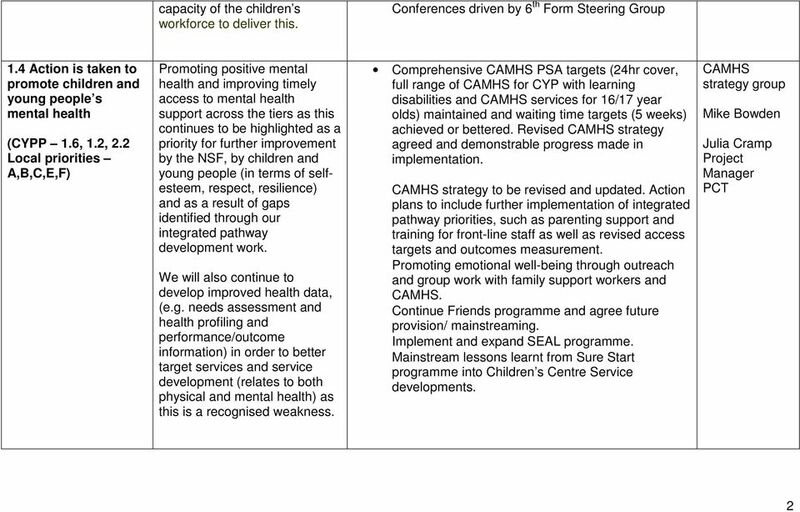 Working Together to Safeguard Children A guide to inter-agency working to safeguard and promote the welfare of children March 2013 Contents Summary 5 About this guidance 5 What is the status of this guidance? 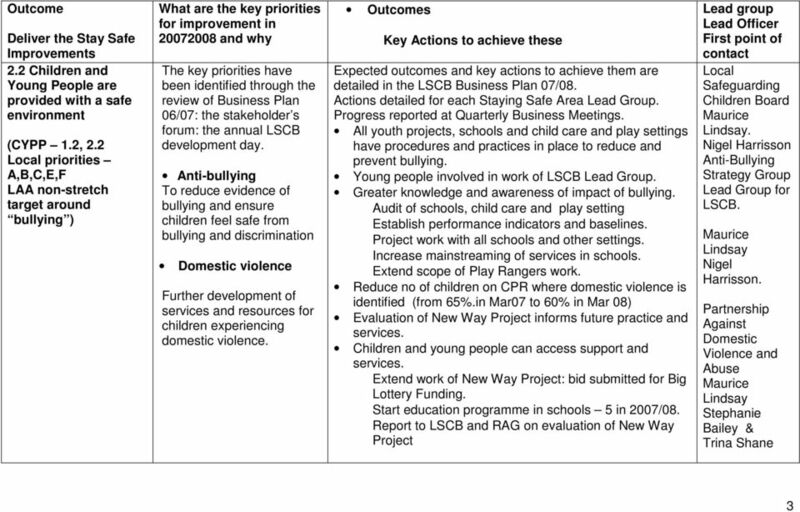 Improvements observed since the previous annual review.